Internationally known trumpeter Rex Richardson has taught at Virginia Commonwealth University since 2002. He’ll be debuting a new work written for him by Andy Scott with the VCU Symphonic Wind Ensemble this Wednesday, September 26th at 7:00 p.m. in the Singleton Center for the Performing Arts. 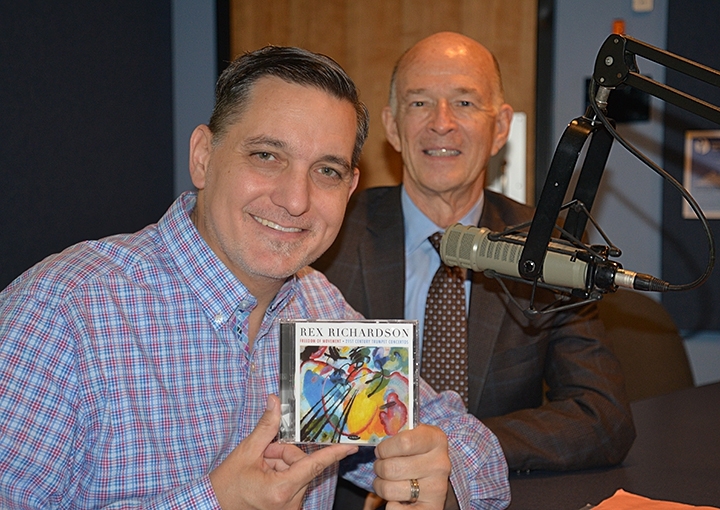 Rex and VCU Director of Bands Terry Austin stopped by our WCVE Music studios to chat about the work and the upcoming program. I hope you enjoy our discussion and have a chance to attend the concert.